Broad-Based Black Economic Empowerment consulting and verification firm, Empowerdex, has had its certificate of accreditation suspended following allegations of bribery at the judicial commission of inquiry into state capture. The company has provided B-BBEE solutions to more than 6 000 companies, and has a staff of 100 people, according to its website. Empowerdex confirmed to Fin24 on Thursday that it has been issued with a three-month suspension order by the South African National Accreditation System (Sanas). 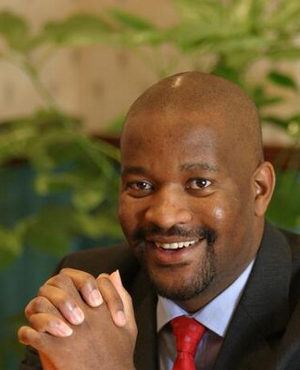 Sanas is responsible for carrying out the assessment of B-BBEE rating agencies. Angelo Agrizzi – the former Bosasa boss turned whistle-blower, testified in late March that Bosasa gave R40 000 to an employee of the verification company to "sort out the BEE ratings". At the time Empowerdex said it had no knowledge of a bribe being paid or solicited. "Empowerdex (and in particular its directors) considers itself to be a good corporate citizen and has therefore initiated appropriate steps in order to investigate as a matter of urgency the correctness of the allegations being made by Mr. Agrizzi," it said at the time. Updated certificates of accreditation, which Fin24 has seen, show that the certificates of accreditation for four Empowerdex regions, which had been set to expire between 2020 and 2023, were suspended on April 4. "Our focus right now is to address Sanas’ concerns and ensure that we get through this assessment in as short a period as possible, in order to restore our reputation. We did believe it was a bit hasty, but we will work constructively with them while we conduct our own external investigations," said Jack. Jack said Empowerdex has external investigators to look at the allegations stemming from the commission of inquiry. "We have appointed external forensic investigators to investigate the allegations, and we are going through the Sanas process. We have committed to providing feedback to the Commission as soon as our investigations are complete," Jack said. Sanas did not immediately reply to a request for comment.